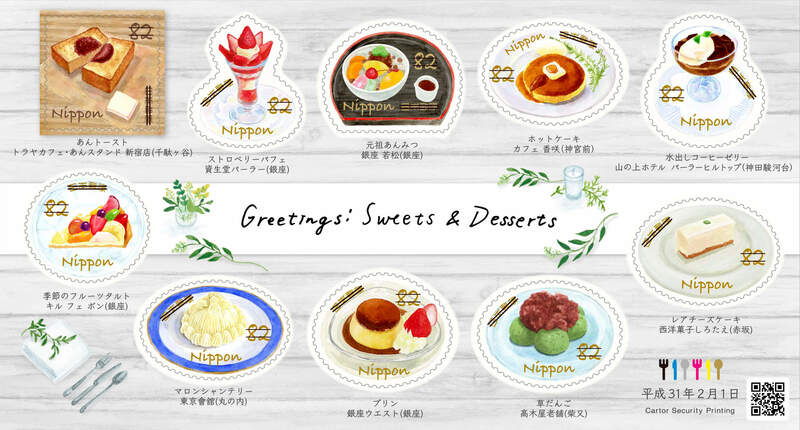 Japan Post is releasing a set of dessert themed greetings stamps on February 1, 2019. 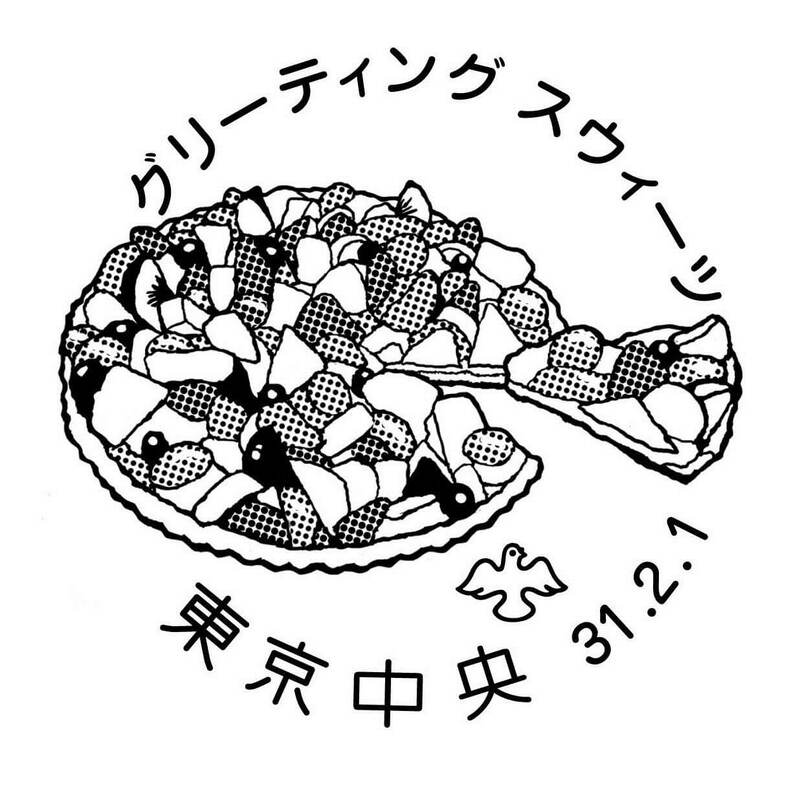 The designs are based on Tokyo’s famous desserts and sweet gifts as listed in Brutus magazine by Magazine House. The above ¥62 sheet features a souvenir design while the below ¥82 sheet features a café table design. The purin from Ginza West has also gotten its own design. We previously reported on this popular Ginza café. The stamp designs are so cute it will feel a waste to use them! 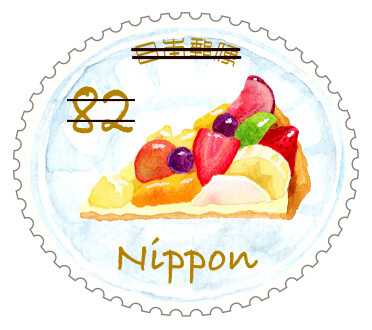 Two special postmarks will also be used at designated post offices around Japan on February 1. They feature an illustration of the strawberry sandwich shortcake sold at Omiya Pastry Shop Kanda and another of the fruit tarts sold at Qu’il Fait Bon. Daifuku, anmitsu, kusa dango and more – there are many sweet stamps to get your hands on, so pick up a sheet and send some cute letters to people.